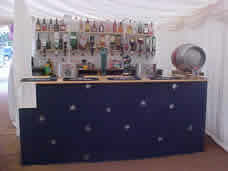 The outdoor bar is available for any function from weddings, christenings, birthday parties, concerts and lots more. 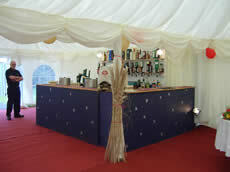 The bar is flexible in location and size - from 4ft to 16ft. We can also provide our own marquee. 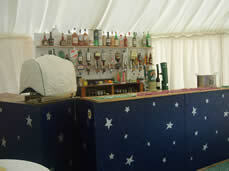 We provide the stock and the staff and will also make sure there is the appropriate licence to run the bar. Please contact us if you would like more details.